So this awesome giveaway is courtesy of the lovely folks at Simon and Schuster Canada. What’s up for grabs, you ask? Well the following three wonderful YA books! This contest is opened to Canada and the US. Just leave a comment telling me what YA book you are dying to get your hands on (besides these three, of course!). Contest ends Sept. 2nd, 11:59pm EST. So, in the excitement of my brother in law’s wedding yesterday (congrats James and Nicole!) I totally forgot to post a giveaway. It was written and EVERYTHING. So today shall be a double giveaway day. Yay!!! My third blogoversary giveaway is courtesy of the wonderful folks at HarperCollins Canada. 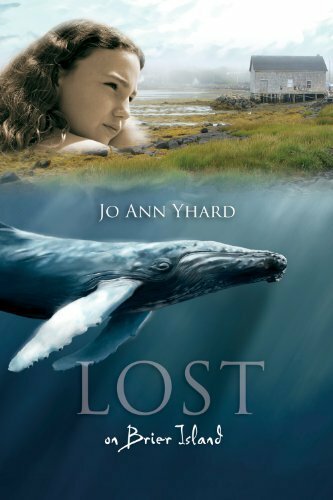 It’s a trade paperback of The Lost Girls by Jennifer Baggett, Holy C. Corbett and Amanda Pressner. While I haven’t read it (yet) I’ve been hearing a lot of positive buzz about it. Giveaway number four is an ARC of Bedbugs by Ben H. Winters. If you love horror, then this is right up your alley. The description had me cringing and itching. I shall be buying it when it comes out. Thanks to Random House for offering up the ARC. To enter to win The Lost Girls just leave a comment and let me know where you would take off to for a little soul searching. If you want to win Bedbugs just tell me something that totally freaks you out. Feel free to enter to win both in one comment. Oh, and you have to be Canadian. Contest closes 11:59 pm EST on August 31th. So, I tend not to read a lot of non-fiction, but that’s something I’m hoping to change this year. I’m currently readin Jann Arden’s memoir and totally loving it! So, how can you win them? First, you have to be in Canada. (Don’t worry, my international friends. I have some goodies coming up for you guys.) Secondly, leave me a comment and tell me what non-fiction book I MUST read. Contest will run until 11:59pm EST, August 28th. Yeppers, guys and dolls. Friday is my 2 year blogoversary as Lavender Lines. And it couldn’t have come at a better time. For those of you who follow the blog or follow me on Twitter, then you know, book wise, the last couple of months have been rough. I haven’t really been reading a lot and haven’t been loving what I was reading. After a dismal June and July I took August off to decide what I wanted to do. I seriously thought about shutting down the blog and not reviewing anymore. It was the worst reading slump I’ve ever been in. There were several reasons, I think, that I hated reading. It was hard to admit some of the reasons to myself. But I love all of you guys and feel like we’re friends. So I wanna let you guys know what’s been going on. First of all, you may or may not know that I held an online book auction to raise money for Slave Lake Library. It was hugely successful and with over a hundred auction items it raised almost $5,000. But man, running an online auction all by yourself? DRAINING. I’m happy that I did it, but when it ended mid June I was physically and emotionally wiped. I’m still tying up loose ends. Was it worth it? Hell yeah. Would I ever do it again all on my own? Hell to the NO. About a week into the auction the hubs decided we were going to go forward and open a used bookstore. While he and his best bud John did almost all of the renovations to our building, I gathered, sorted, inventoried and shelved over a thousand books for the store. Then we opened. And I averaged about $10 a day in sales. And I forgot that I pretty much hate talking to strangers and trying to get them to buy something. Also turns out I have a mini panic attack when referring books to people I don’t know. So my dream wasn’t quite the reality. Then we got hit with an infestation of earwigs at the beginning of August. The store has been closed since. Which my brain took as a failure. And since my brain was still exhausted from the auction, well, it wasn’t a happy situation. The main reason, though was that most times I don’t feel like I’m a very good book blogger. I’m finding it harder and harder each review to really put into words my feelings, besides “I liked it, you should read it.” And, when you read a book that you know you should love and you were just meh about it, it’s hard to review. There’s also the fact that I am so frigging behind on review books it isn’t even funny. I hate to admit this, but I have books from 2009 that I requested and haven’t read yet. I mean, I ASKED for the books. The publisher took the time AND the money to send them to me, fully believing that I would review them, and hopefully in a timely manner. But I’ve found that I don’t do well with schedules when it comes to reading. I’m more of a “grab a book that appeals to me” and read it kinda reader. I have every intention of reader my backlog of review books. But when I look at the shelf, I get panicky and anxious. And I feel horrible and like a failure that I haven’t read them yet. Which makes me not want to read them. It’s a horrible cycle to be stuck in. So, yeah, those are the main reasons I’ve hated anything book related the past couple of months. But this past week I’ve felt myself coming out of it. I’ve read three books and loved each one. And I’ve decided that I would continue book blogging, but will be taking a bit of a different approach to it, for my own sanity. Unless it’s a book by an author I absolutely adore, I won’t be requesting any review books for the near (and possibly distant) future. I’m going to stop worrying about whether or not my reviews are good and concentrate on making them me. So they’ll probably be short, a bit full of piss and vinegar and there will be the odd curse word (or five). I will be working on my backlog of review books, but I won’t stress about it. So, dear publishers and authors, continue your wonderful patience. You’ve all been amazing. There will be some mixed content on the blog. Some posts about me, music and my writing. I’m excited about my third year as Lavender Lines. I’m frigging beyond excited about all the giveaways I have coming up over the next week. Honestly, there’s something for everyone. I even have a couple of international giveaways! So pop back in and enter as many reviews as you want. 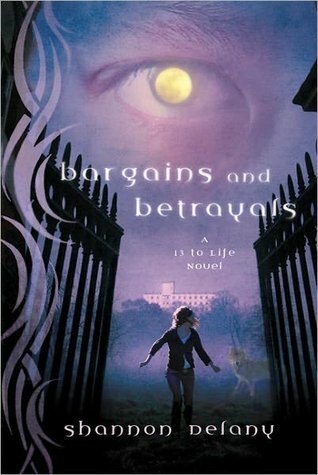 Random.org choose Jody Bernard as the winner of the ARC of Bargains and Betrayals.